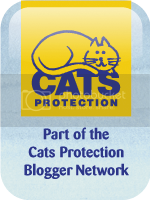 Cat Rescue Volunteer Everyday Ramblings: Cats Protection Daily struggle. This year has been the worst we have known and shows no sign of improving, pregnant cats thrown out and ferals who's kittens are now getting into difficulty, end of year kittens tend to have more problems as mum usually already had couple of litters and in these cases no home or proper nutrition she has nothing left to give as her body is riddled with parasites and devoid of vitamins for the kittens;-( Latest litter there is no sign of mum its thought she may be victim of fox/dog attack as one of kittens now at vets undergoing ex ray for broken leg/pelvis. All this suffering is easily prevented but there are so many cats which are seen as having little worth or value easily replaced, cat over population is at an all time high!